A majority of the genetic abnormalities are directly related to the chromosomal aberrations. Cytogenetics is the diagnostic study of the structure and properties of chromosomes and cell division, which employs various methods, one of them being "karyotyping." It refers to a procedure of photographic representation of a stained preparation in which the chromosomes are arranged in a standard manner. The development of newer techniques such as "karyotyping" has made it possible to visualize undetected chromosomal anomalies such as small portions of chromosomes and translocations of tiny parts of chromosomes to one another. Because such procedures also enabled each pair of chromosomes to be distinguished individually, it has helped to further our understanding of the chromosomal basis of certain important genetic disorders. 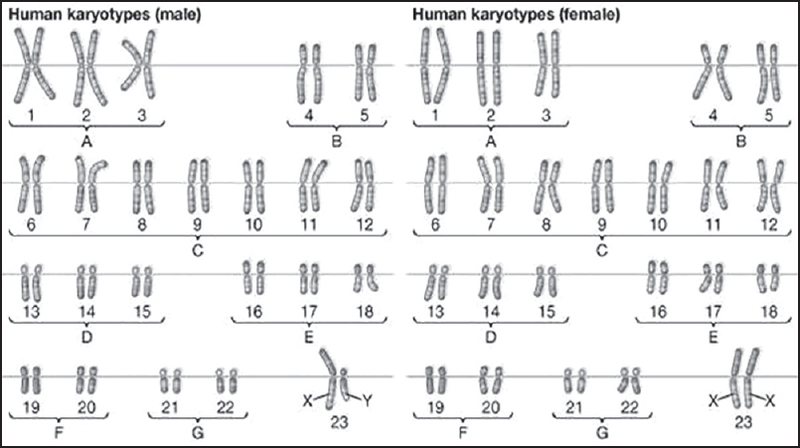 This review article highlights the importance of "karyotyping" and its importance in the diagnosis of chromosomal disorders. Background: Hypertension is the new-era pandemic, which causes about 7.1 million deaths per year globally. Various risk factors are implicated in the development of hypertension and there are differences in these risk factors in urban and rural populations depending on the level of development and epidemiological transition. The present study was undertaken to estimate the prevalence of hypertension and to identify and compare some sociodemographic and lifestyle risk factors associated with hypertension in urban and rural populations of Sullia, Karnataka, South India. 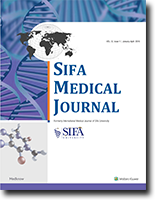 Materials and Methods: This was a community based cross-sectional study in which 300 adults each were randomly selected from urban and rural populations of the town of Sullia using modified cluster sampling method. Selected individuals were examined and interviewed using a semi-structured, pretested questionnaire. 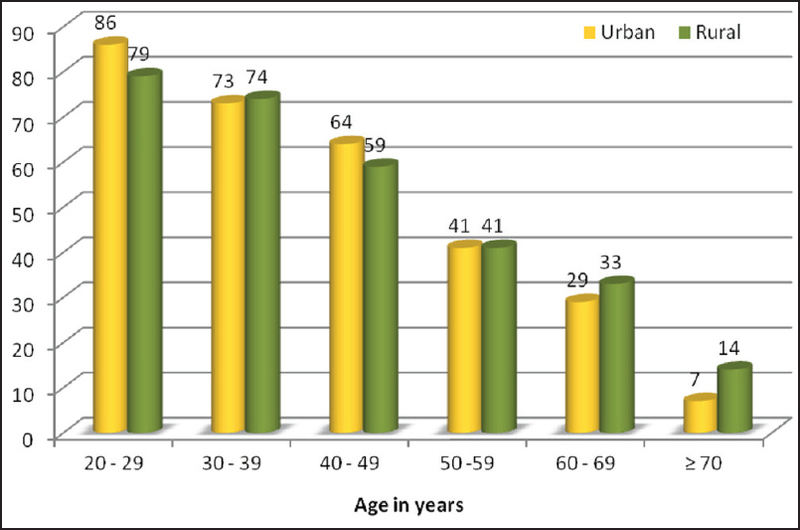 Results: The prevalence of hypertension was 21.0% (23.7% in the urban population and 18.3% in the rural population). Increasing age, sedentary occupation, higher socioeconomic status, extra salt intake, family history of hypertension, reduced physical activity, tobacco smoking, smokeless tobacco consumption, alcohol consumption, body mass index (BMI) ≥25 kg/m 2 , and high waist-hip ratio (WHR) were found to be significant risk factors of hypertension. Family history of hypertension, BMI ≥25 kg/m 2 , and high WHR were found to be predominant risk factors of hypertension in the urban areas, whereas smokeless tobacco consumption was a predominant risk factor in the rural areas. Conclusion: A high prevalence of hypertension was observed in both urban and rural populations of Sullia, Karnataka, South India. Hence, mass screening should be done for early diagnosis and treatment. Prevention and control activities should give higher priority toward obesity control in urban areas and smokeless tobacco control in rural areas. Aims: For prevention of interfragmentary shear motion in intramedullary nailing, the nail-cortex contact (N-CC) length should be long enough. This study was designed to assess the N-CC length changes related to the aging process. 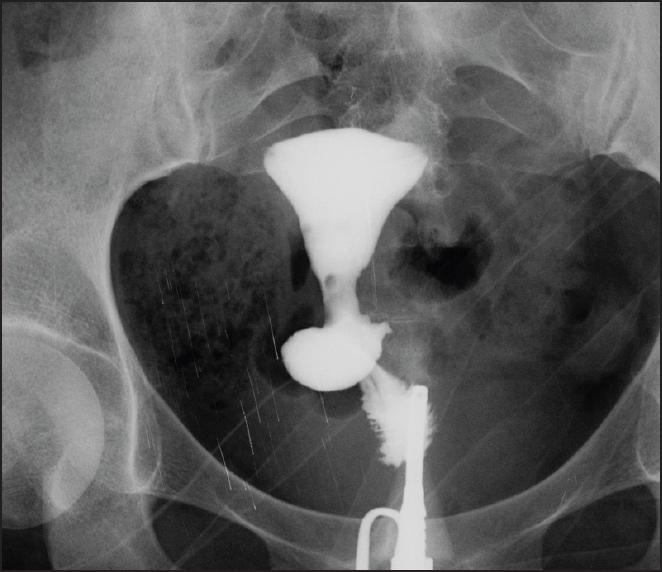 Materials and Methods: Femur anteroposterior (AP) radiograms of 204 patients older than 20 years were reamed virtually to be 13-mm, 14-mm, and 15-mm diameter artificial medullary cavities. Patients were divided into two major groups (males and females). Each group was subdivided into four subgroups - 20-39 years, 40-59 years, above 60 years, and above 70 years. 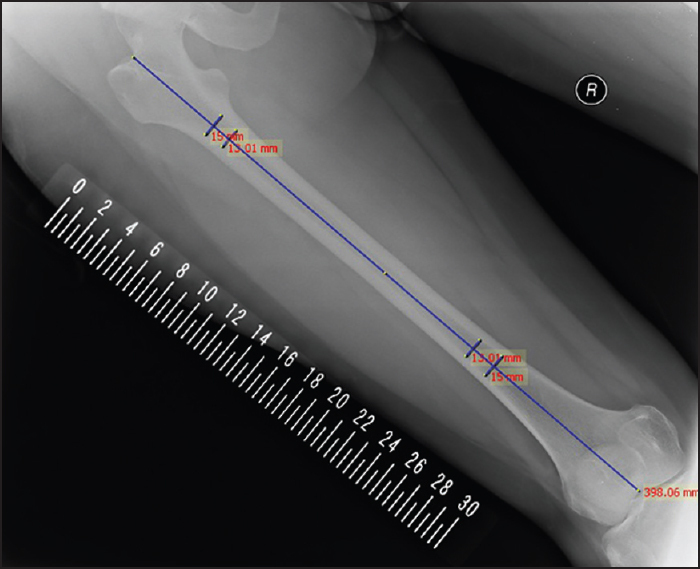 The N-CC lengths of the femur diaphysis were measured in all groups and changes were compared between the groups. Results: For the 13-mm diameter artificial medullar cavity in female groups, the mean N-CC length value in the 20-39 years age group was 13.8 ± 4 cm, mean N-CC length value in the 40-59 years group was 11.6 ± 4.3 cm, mean N-CC length value in the above 60 years group was 9.4 ± 5.3 cm, and mean N-CC length value in the above 70 years age group were 8.8 ± 3 cm. A significant 48.6% decrease of N-CC length between 20-39-year and 40-59-year aged female groups was noticed (Z = −2.423; P = 0.015), whereas in the male groups, the significant N-CC length decrease (86%) was between the 40-59 years age group and above 70 years age group (Z = −4.279; P = 0.001). Conclusion: As N-CC length decreases after the age of 40 years in women and after the age of 70 years in men, thicker intramedullary nails should be used in these age groups for long N-CC area.